It is the last day of November... can I do this? Usually at this point I would be rather weary of looking at the same fabrics over and over again... but not this time. When you make a scrap quilt out of fabrics that are jam-packed with memories, the project stays interesting all along. I really wanted to draw out the purples in the quilt, and was pleasantly surprised to see that I had enough of this polka-dotted fabric to create the binding. 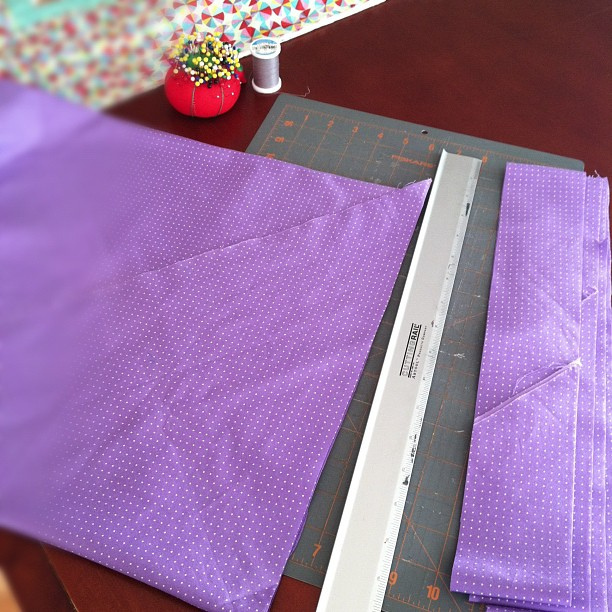 I like to cut the binding on the bias, in 2 3/4 inch strips. This is the time when I appreciate my walking foot the most. There is no need to buy a very fancy or expensive sewing machine when you start quilting. I really love my basic "no-computer" Kenmore. My entire machine cost me less than a walking foot does for a fancypants model. (The walking foot for my Kenmore cost me a mere $20.) 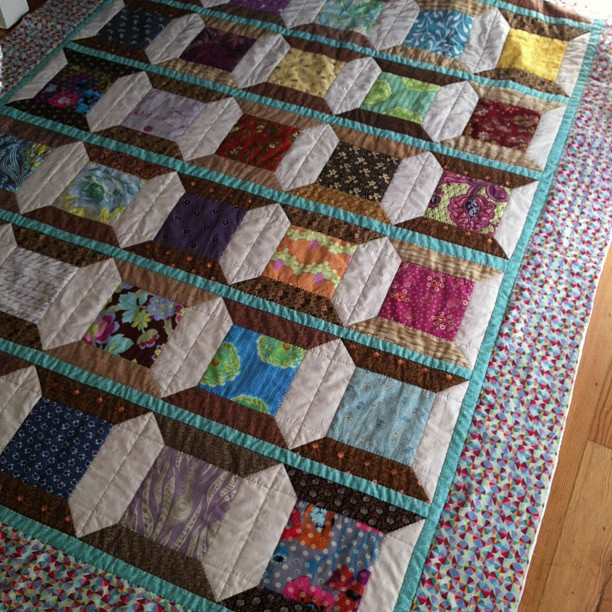 My walking foot keeps the quilt from shifting under the batting, so I don't even need to pin the binding to the quilt. 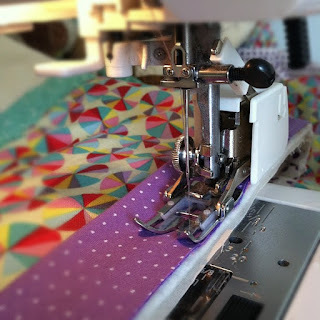 I always sew the binding down to the wrong side of the quilt by hand. I know I can do it on the machine, but it never looks as tidy as when I do it this way. It is a long series of simple stitches, the perfect "cool-down" after a very busy month of stitching. 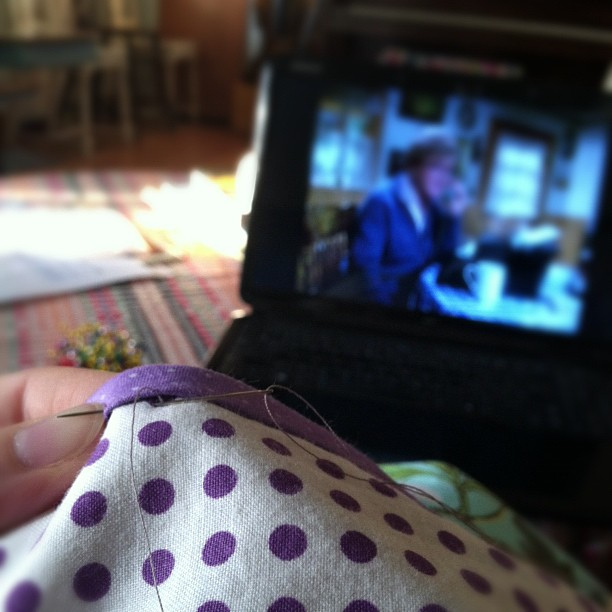 Angela Lansbury is keeping me company while I stitch. I have a few hours to finish up, midnight is still far off. 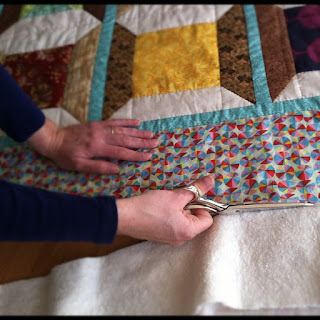 I hope to have photos of a finished quilt for you tomorrow! 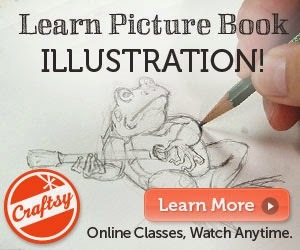 It is looking so lovely! I'm so excited to see it all done. I am just getting ready to post the final photos tonight. Wow!